Home insurance for people with criminal convictions. 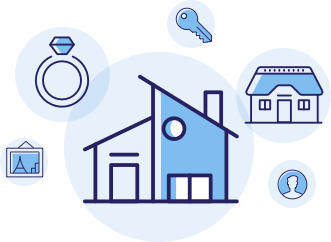 As specialist insurers, Highworth Insurance are able to offer competitive solutions to home insurance with a criminal record, by tailoring a policy based on a case-by-case basis and not a one-size-fits-all rule. There is a legal obligation to declare non-motoring convictions even if not asked about them directly. With many standard insurers this can automatically have an adverse effect on premiums or even prohibit cover with them completely. Thankfully, at Highworth Insurance we have the ability to tailor policies based on individual circumstances and so can offer competitive solutions to home and contents insurance to those with criminal convictions. Our knowledgeable account managers are skilled at listening to your precise requirements and are able to tailor a policy to your individual circumstances. Experienced, UK based account managers.